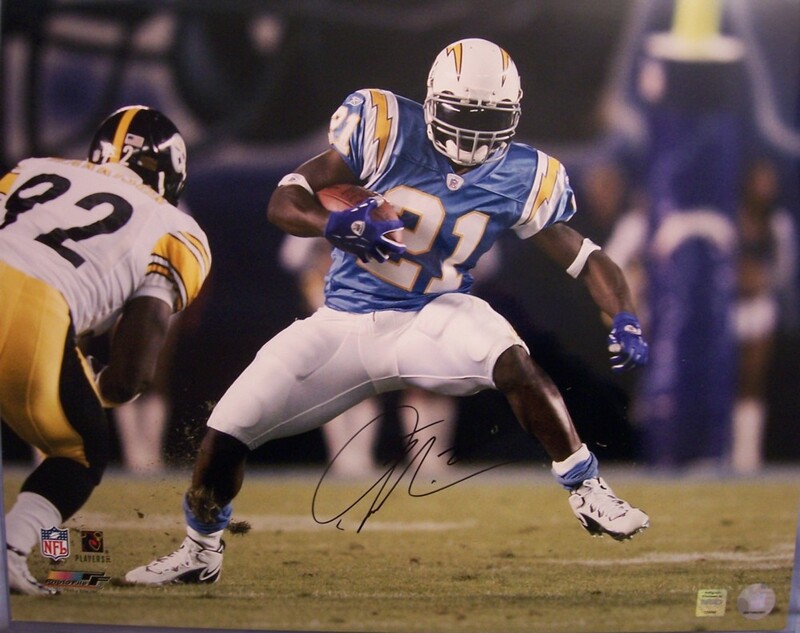 16x20 inch poster size photo of former San Diego Chargers superstar running back LaDainian Tomlinson in action wearing the powder blue throwback uniform, autographed in black marker. Authenticated by National Sports from a 2005 private signing, with their hologram on the photo and letter of authenticity. ONLY ONE LEFT.